It’s no secret I love a bell sleeve top. But add in some pink velvet, pleats and bows and I’m even more obsessed. 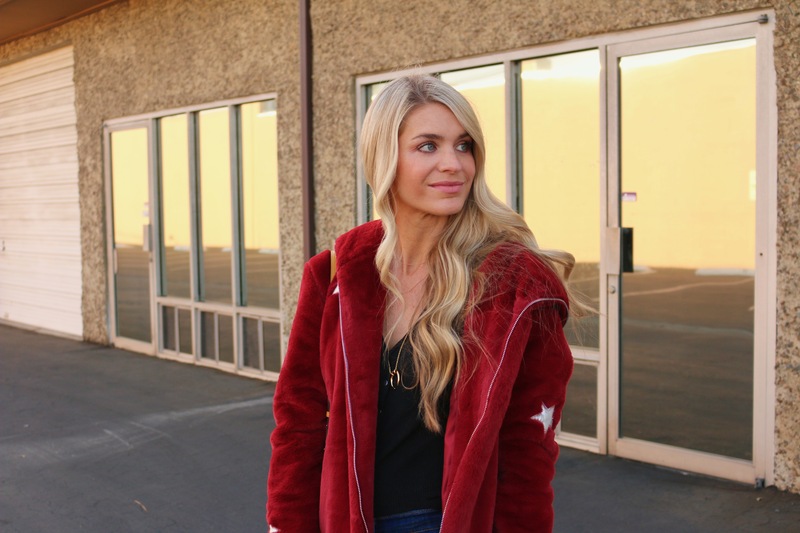 This pullover is a fun, but casual, statement piece that’s under $20. Happy Monday! I wanted to start the week with an extra bright and cheery look. On Friday we had to be out of our house all day so we drove up the coast on a little adventure. I’d walked through this candy-colored village with a friend just a few days before and knew I wanted to shoot something fun there. This sweater is equally colorful, but still stood out amongst the surroundings.